The unemployment rate among females had increased from 7.3% to 7.6% during the third quarter of 2016, the latest Labour Force Survey Bulletin shows. According to the Labour Force Bulletin, of the third quarter of 2016, the total unemployment rate had declined from 4.6% to 4.5%, while the unemployment rate of males had declined from 3.1% to 2.7%. The survey result further shows that the youth unemployment rate (age 15 – 24 years) corresponding to the third quarter 2016 is 21.6 per cent and that reports the highest unemployment rate among all other age groups. Further rates, for both male and female, are 15.7 and 30.6 per cent respectively for the age group 15-24. The survey results further revealed that the unemployment among females is higher than that of males, in all age groups. 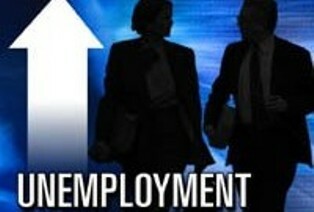 Youth and female unemployment contribute more to the overall unemployment of the country. The survey results indicate that the labour force participation rate (LFPR) for the third quarter is 53.8 per cent and this is 75.0 per cent and 36.1 per cent for males and females respectively. Persons, who worked at least one hour during the reference period, as paid employees, employers, own account workers or contributing family workers are said to be employed. The estimated employed population is about 8.0 million for this quarter, of which, about 46.1 per cent engaged in the Services Sector, 27.1 per cent in Agriculture Sector and 26.8 per cent in Industrial Sector. The highest employment share is in the Services Sector and this pattern is the same for both male and female. Also, the survey reveals that 68.0 per cent of the employed population works more than 40 hours per week.